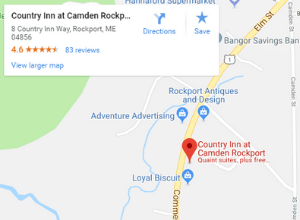 Planning a trip to mid-coast Maine? We want to help you plan your vacation to the idyllic Maine coast. At the Country Inn, it is our privilege and pleasure to give our guests a comfortable stay. Simply enter your name and email below and this Vacation Guide will be delivered right to your inbox. By adding your email address, you’ll be added to our newsletter list. 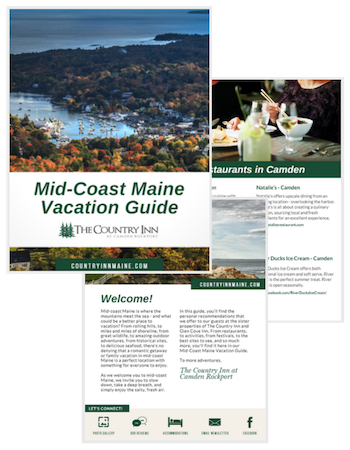 You’ll receive about 2 emails from us a month, including content to help you plan your trip to mid-coast Maine, and information about the inn, including special offers. We respect that you have invited us into your inbox and we won’t share your information with anyone else, ever. Be the first to know about specials, packages, new things to do in the area, and more. Sent every other week.